BBC pundits were divided by an apparent Andros Townsend handball in the Liverpool penalty area during the Reds' thrilling 4-3 win over Crystal Palace at Anfield. 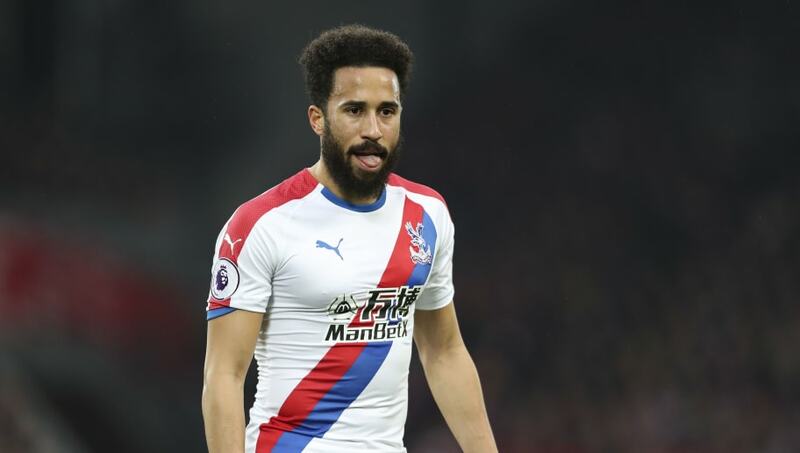 Moments before the winger gave Crystal Palace the lead, Townsend was subject to a massive penalty appeal for an apparent handball in his own box following a tussle with Sadio Mane. The ball appeared to strike the Palace wingers hand but referee John Moss penalised Mane, which angered many Liverpool fans. Townsend gives Palace the lead at Liverpool a couple of minutes after he got away with handling in his own box. ​​The decision split the opinion of BBC pundits Kevin Kilbane and Garth Crooks with Kilbane arguing it was a clear penalty. Speaking on the show, he said: "John Moss is in a great position. I think he actually gives the foul against Sadio Mane on Andros Townsend. "Andros Townsend's arms is clearly in an unnatural position, it is high above his head, and flicks the ball away off his arm. It looks to me like a clear penalty. Now I don't know if there is something happening in the build up towards it, or if there's been a slight tug from Mane on Townsend, but it looks to me like it should be a penalty." His fellow pundit had the opposite opinion on the issue, saying the referee made the right call. Crooks said: "I think Mane has forced the momentum of Andros to force his hand in that direction, that's why I think he has given the decision against Mane. He [Townsend] is trying to block Mane getting to the ball, but the momentum of Mane has forced his arm up in the air. I think John Moss is right." Liverpool and their fans will not be too upset as their side went on to win the seven-goal thriller 4-3 in a performance some will call one of champions. An error from third-choice Palace keeper Julian Speroni perhaps helped the Reds on their way to victory, but nevertheless, Liverpool took their chances and came out of a tough situation. The win against Crystal Palace put Liverpool seven points clear for one day, before Man City comfortably saw off Huddersfield Town.